Pretty much everybody has an opinion on the Floyd Mayweather vs. Tenshin Nasukawa bout that topped Monday’s RIZIN 14 card. That includes former UFC lightweight and featherweight champ Conor McGregor. McGregor, who previously engaged in his own battle with Mayweather, recently took to Twitter to give his take on the madness. Surprisingly, however, he had little to say about Mayweather’s performance. Instead, he seems more concerned with Mayweather’s rumored $9M payday, and how it will position him on the list of the highest earning athletes in the world. “That 9 milli won’t keep you on top of my list for long, kid,” Conor McGregor wrote in reference to Floyd Mayweather. McGregor’s next most recent fight occurred in the boxing ring, where he battled Floyd Mayweather in a headline dominating crossover fight. Although the Irishman put up a valiant effort in this, his debut boxing match, he was ultimately stopped by a volley of punches in the 10th round. McGregor’s second most recent MMA bout occured all the way back in 2016, when he defeated Eddie Alvarez by knockout to win the UFC lightweight title. Because he still owned the UFC featherweight belt at the time, this made him the first fighter in UFC history to wear two titles concurrently. While nothing is official just yet, UFC President Dana White has stated he’d like to see McGregor fight Dustin Poirier next, while Nurmagomedov battles Tony Ferguson. McGregor holds a previous knockout victory over Poirier, although this win occurred in the featherweight division many years ago. 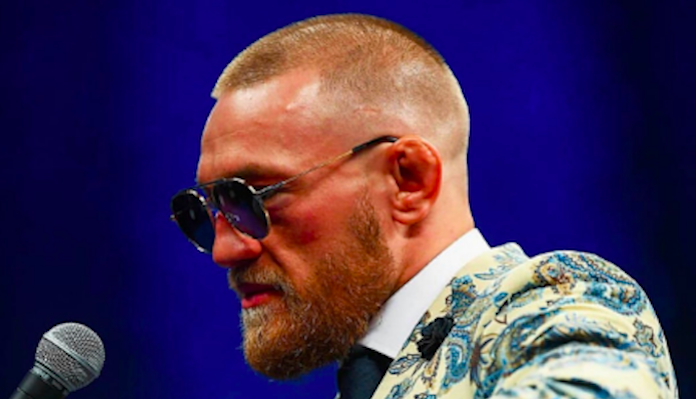 What do you think of the Irishman’s comment on the Floyd Mayweather vs. Tenshin Nasukawa fight?